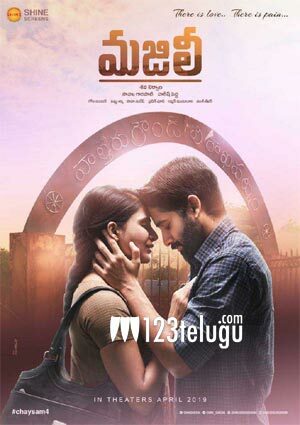 Majili, Akkineni couple Naga Chaitanya and Samantha’s first film after marriage, is slated to hit the screens on April 5. The promotional teasers and audio tracks that were released a couple of weeks ago are creating a positive buzz for the film. Now, the latest update is that the makers are going to organize the film’s pre-release event on the 30th of this month in Hyderabad. Details regarding the venue and time will be out shortly. Divyansha Kaushik is the other female lead in Majili. Shiva Nirvana has directed the film and Sahu Garapati and Harish Peddi have produced it under Shine Screens banner. Gopi Sudhar is the music composer.